If you remember the Subaru Tribeca, you should just forget it. It was a failure that Subaru would like to forget. The B9 Tribeca was too small, it didn’t have a rugged Subaru family appearance and sales were lagging. Subaru dealers in the U.S. were asking for a new bigger model and the Japanese automaker listened and designed the new Ascent. Did Subaru make the right decision to bring the new Ascent family hauler? The Tribeca, which was discontinued in 2014, was a sales flop after only 76,774 vehicles were sold after a 10-year lifespan. The Tribeca’s successor, the Subaru Ascent, arrived last June and has already attracted 47,352 sales in the 9 months it has been on sale in the U.S. market. 2,544 Ascent 3-Rows have been sold in Canada so far. The Subaru Ascent is already a big success and it offers Subaru dealers a vehicle to keep growing families in-house. Subaru execs were expecting the new Ascent to be a big hit with North American families and were hoping to sell more than 60,000 of the new family-sized SUVs in the first full year. After the 9-month mark, Subaru of America is on track to deliver more than 63,000 Ascents to customers. Ascent arrived in mid-June and it was not a full month. You Might Also Like: Will Subaru Ascent 2.4L 4-Cyl Have Enough Power For Active Families? Subaru’s new 2019 Ascent competes with Japanese rivals Toyota Highlander, Nissan Pathfinder, Honda Pilot, Mazda CX-9, and American entries like the Ford Explorer, Chevy Traverse, Dodge Durango, and Jeep Grand Cherokee. Ascent’s 4-cylinder 2.4-liter turbo Boxer engine compares favorably with the competition’s V6 power but gets better fuel economy. 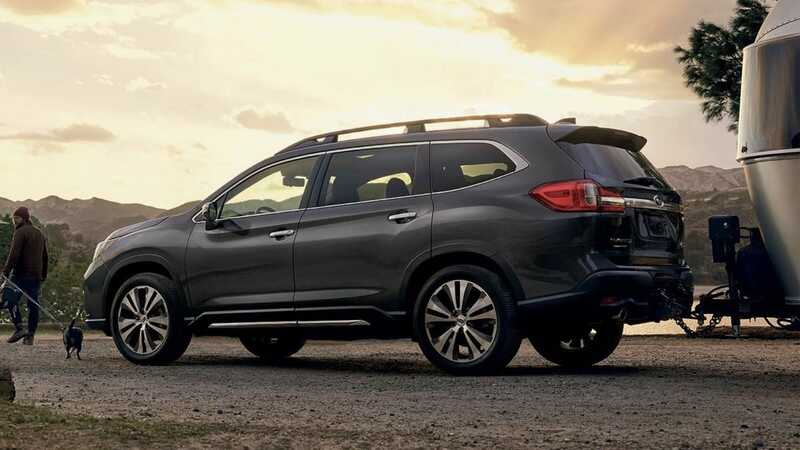 The all-new 2019 Subaru Ascent has been exactly what the Camden, N.J. automaker expected in the first 9 months. Subaru will sell more Ascents than their Legacy sedan and could sell as many as the new-generation Impreza compact that is also built at their plant in Indiana. Subaru Corporation made the right decision when they axed Tribeca and delivered the new Ascent family hauler to North America. Hmmm, I think we all know the answer. The Ascent is proving to be a huge success. However, there are strong competitors - most recently the Kia Telluride. I'm leaning that way for several reasons - Basically same tech or better than the Ascent, V6 engine (no turbo), more interior space and a locking differential which should make is very capable in snow and much better looking interior and exterior. Lastly, you cannot beat the value proposition in the higher trims and the lower trims offer blind spot detection, the base Ascent does not. Both offer only captain's chairs in the highest trim levels, which I don't like - for the money, I want the option of a bench-seat 8 passenger capacity. Thanks for the highlights. How can someone participate in engineering ideas or share some new development with industry.